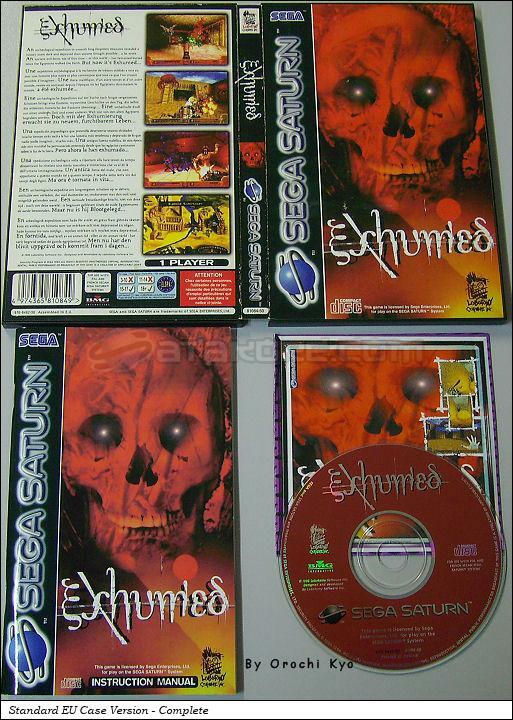 Exhumed is a First Person Shooter game, developed by Lobotomy Software, Inc. and published by Sega Enterprises, Ltd., which was released in Europe in 1998 for the Sega Saturn. 7 Portuguese Version (Ecofilmes): Manual, Sticker on the Front Cover, Sticker and Barcode on the Back Cover (Optional) ?? This game has 2 different cases. This awesome game created by Lobotomy Software is just amazing: great graphisms, incredible visual effects and fantastic soundtrack makes it one of the bests, if not the one, doom-like for the Sega Saturn.